We specialise in the building of low arched wood fired bread ovens along the lines of the classic French and Germanic ovens. These ovens are especially suited to oven bottom breads and are exceptionally economic in the use of wood fuel. 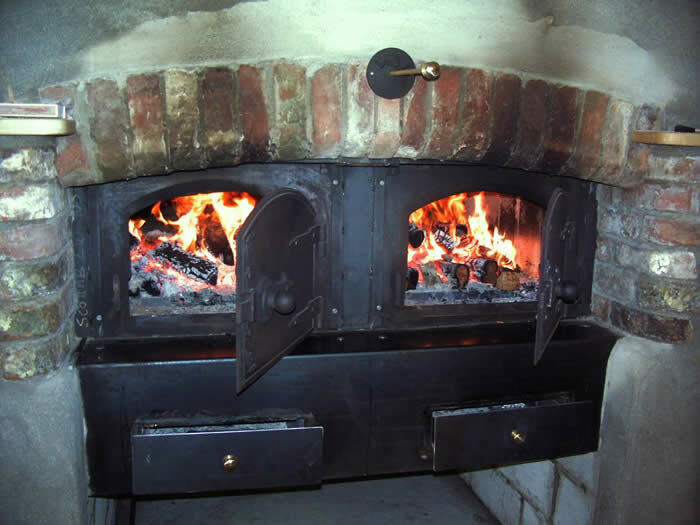 Combining traditional brick oven building skills and materials with modern industrial insulation, these ovens heat up quicker and retain their baking heat longer than other commercial wood fired bread ovens. Our speciality is the gueulard oven where the fire is burnt in a furnace at the front of the oven and under the oven's baking floor. 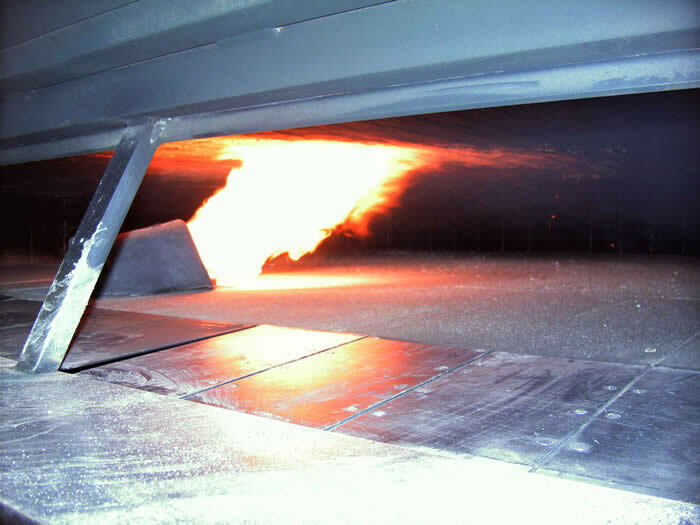 The heat and flame generated in the furnace enter the oven's baking chamber through the gueulard and are directed down the oven creating secondary combustion, thus extracting all the available heat from the wood fuel. Gueulard oven baking chamber sizes start form 2m wide x 2.5 m deep. For bakeries requiring smaller volumes we can offer a floor-fired oven. 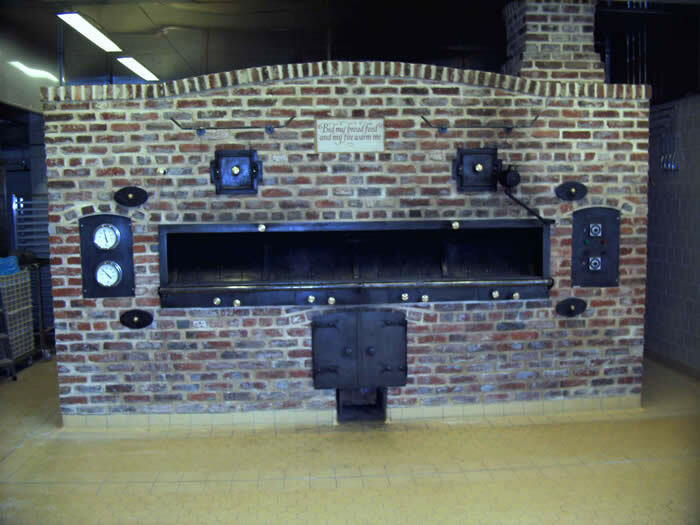 The oven incorporates the same low arched design as the gueulard oven; however, the furnace and gueulard are omitted. Unlike the traditional Roman or Pompeii wood-fired ovens that have the fire at the back of the oven and the smoke and fumes leaving the oven via the oven's door, our floor-fired ovens have the fire at the front of the oven. The heat and flame travel down the oven and exit via flues at the rear of the baking chamber. We have been asked by Andrew Whitley of Bread Matters to build a small scotch style oven at his new venue in Borders Region of Scotland. The oven's primary use will be for use in Andrew's bread baking courses. However, we will be building into the oven some features so that the oven can be used for other types of cooking. As this project develops we will post more photos and details of the rebirth of a scotch oven. Click the image for some interesting reading on scotch ovens.